The new commercial development designed by Aedas in Chongqing, China, is an elegant stepped tower created to look like an artificial mountain. The Xinhua Bookstore Group Jiefangbei Book City Mixed-use Project's shape was inspired by the stunning mountains that surround the city. 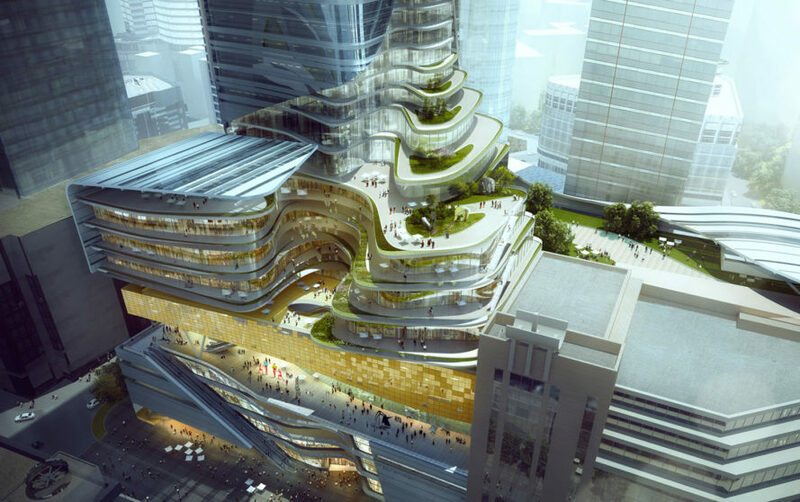 At the same time, designers were influenced by the ancient Chinese proverb ‘Knowledge brings wealth,' anchoring the project with a massive bookstore, and placing stacked terraces on the exterior meant to look like a pile of books. Dubbed “Mountain City”, the mixed-use development references the region’s gorgeous landscape. The building gradually rises in a series of steps meant to look like a stack of books. The overall impression is of a series of mountain peaks rising in the center of the city. The project will comprise a sky cultural plaza, retail spaces, apartment, offices and a boutique hotel located in the Jiefangbei Central Business District, downtown Chongqing. Inside, the building will be anchored by a large bookstore. The tower will be connected to the existing urban fabric of the area, with three themed plazas and green terraces dominating its lower levels. The podium is expected to become a new cultural hub, while the sky cultural plaza offer s serene environment where people can relax. The podium is expected to become a new cultural hub, while the sky cultural plaza offer s serene environment where people can relax. Dubbed "Mountain City", the development references the region's gorgeous landscape.
. 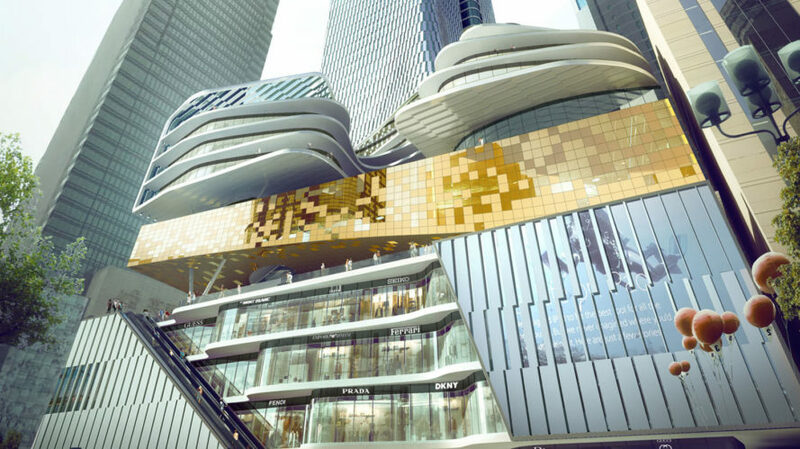 It will comprise a sky cultural plaza, retail spaces, apartment, offices and a boutique hotel located in the Jiefangbei Central Business District, downtown Chongqing. The tower will be strongly connected to the existing urban fabric of the area, with three themed plazas and green terraces dominating its lower levels.